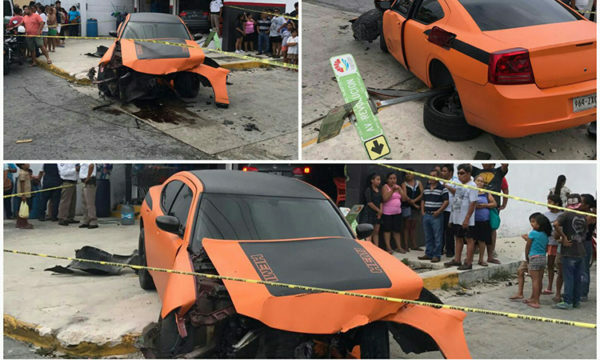 CANCUN — Six people were injured in a car accident in the intersection of 43 Street with Revolución Avenue, after the driver of a Jetta type car passed the stop and hit a Charger.. The Charger was hit on its left side and ended on the sidewalk, while the Jetta hit a grocery store, where later six injured persons were attended. The driver of the Jetta, alleged culprit of the accident, escaped from the scene. 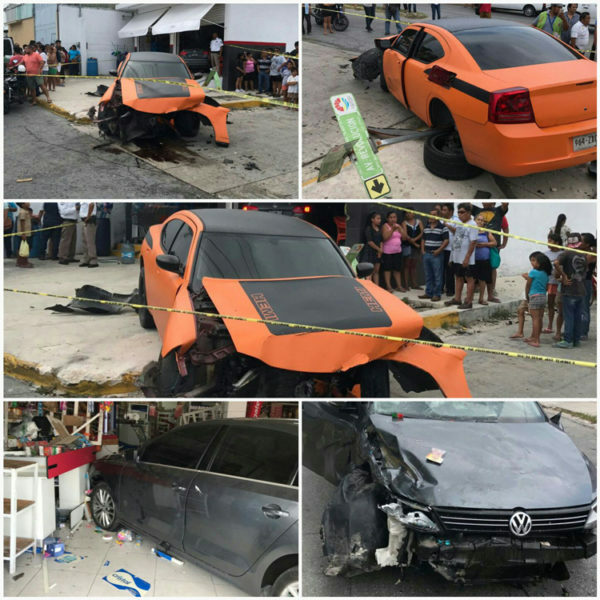 The driver of the Jetta, when not respecting a preferential route , was hit in its front side right side by the front of the Charger, which with the impact was projected inside a DUNOSUSA store.